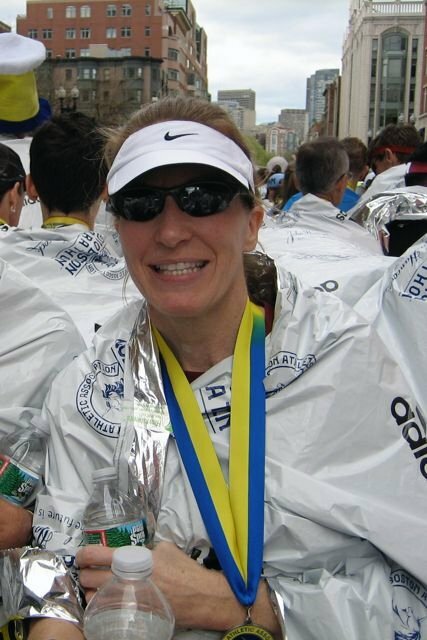 In celebration of today’s 122nd running of the Boston Marathon, I’m sharing some of my fondest and funniest Boston Marathon memories from the two times I ran this amazing race in 1998 and 2010. Before I jump into those memories, though, I want to wish all of my friends who are running to have a wonderful race. You’ve worked hard to get to the starting line in Hopkinton; so run hard, run happy, and take in all the sights on your 26.2-mile return to Boston. Dubbed the granddaddy of all marathons, Boston is legendary for being the oldest and most famous marathon to be held in the United States. With amazing spectator support from start to finish, it’s a definite bucket-list marathon for those able to qualify or be selected as fund raisers for the marathon’s selected charities. My first real memory of having any particular thoughts about the Boston Marathon was in 1989 when my new acquaintance Miles told me that he had qualified for Boston. Even though I didn’t know a lot about the race, I knew that runners had to qualify to enter, and I was instantly in awe. It would be another eight years before I would be inspired to run my first marathon. While training for my first marathon in 1997, my by now good friend Miles, and I were talking about Boston. I mentioned that since Bill worked at Digital, one of the race sponsors, I could run with one of their corporate family bibs. Miles was quick to tell me that I should only run Boston if I earned a spot in the race, and based on my track and long run times, he felt sure I could qualify. 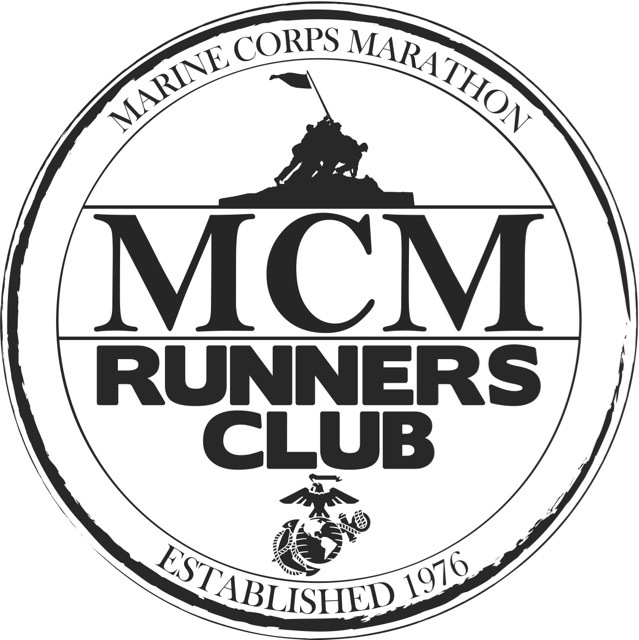 That fall, with Miles’ guidance, I qualified for Boston at my first marathon, the Marine Corps Marathon. During my 1998 trip to Boston, Bill and I opted to take part in the official pre-race dinner, and were seated at a round table with about six to eight other people. As the evening wore on, we realized that one of the older ladies at our table was someone important in the running community, but sadly, neither of us can remember her name. We were honored that night to also meet Boston Marathon legend Johnny Kelly. As the other runners and I made our way to the starting line in Hopkinton, little girls were standing along the side of the street asking for autographs. I was flooded with such mixed emotions – I was proud, yet humbled. There I was, a measly runner feeling so very honored to be able to run her first Boston Marathon, yet to these little girls, we were elite athletes. In 1998 when I crested Heartbreak Hill, a volunteer shouted, “Congrats, you made it to the top!” I asked her which hill, and she said that it was Heartbreak Hill. Incredulously, I said, “That was Heartbreak Hill?” Later, when I told Bill the story, he said that I had laughed in the face of Heartbreak Hill! Looking back, my Heartbreak Hill split was an 8:51, so I guess he was right! In 2010, Boston seemed much hillier than in 1997. I certainly didn’t remember so many hills from 1998, but of course, as one of my friends was very quick to point out, I was twelve years younger back then! After what seemed like endless hills, I finally crested the top of Heartbreak Hill. I reminded myself of how easy Heartbreak Hill had seemed the last time I ran Boston. This time Heartbreak Hill got the last laugh! When I returned to run Boston in 2010, a total of six Cruisers made the trip. Three of us had qualified and three others would be running the Boston 5K and cheering on the marathoners. Because three of the guys and I would be staying together, they quickly labeled me the princess and they were my entourage. The four of us hopped on the elevator and headed up to the room. We made our way to the 22nd floor and stepped into our Presidential Suite in awe. We estimated that it was at least 1,300 square feet. The suite had a marble foyer with a powder room right next to the entrance. The main room had three sitting areas with a dining room to its right. The dining room table sat eight and was complete with china. There was a full kitchen off the dining room. On the opposite end of the main room there was an office and beyond that was the bedroom. Next to the bedroom, there was a dressing room with a sink and two sets of mirrors for make-up, etc. The bathroom was beyond the dressing area and had a large shower and a separate Jacuzzi tub. We even had a balcony the full length of the main room. A lot can change in twelve years and technology was one of those things. Going from a larger film camera to a small digital camera made it easy to carry my camera along and capture moments along the entire course. Social media also played a huge role in my second Boston reminding me that all things must be captured! As I rounded the corner onto Boylston Street in 2010, I looked for my friends and they were exactly where they promised to be! As I ran past my friends, I could see the finish line and almost burst into tears. As I approached, I noticed how beautiful the American flag looked flying in front of the finish line banner so I pulled over to the side and took a photo. Those lost five seconds meant nothing to my finish time, but this picture means everything to me. 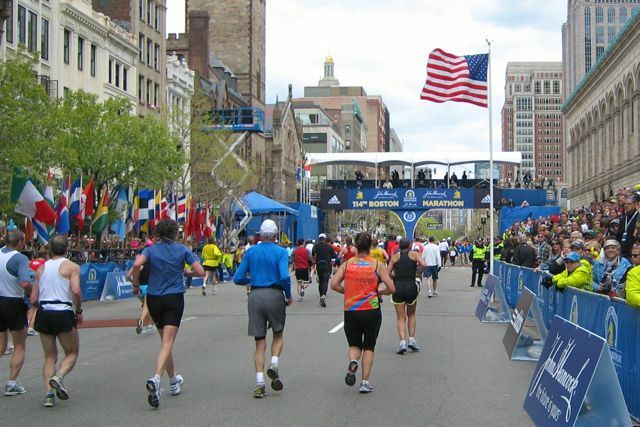 Have you run or spectated the Boston Marathon? Are you, or do you know anyone running Boston today? 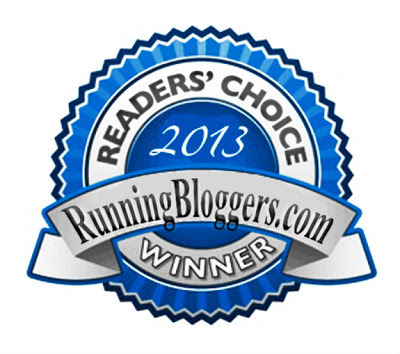 Have you run the same course that seemed much more difficult one year over another year? I loved reading your Boston post. I have qualified for Boston 5 times and run it once. Everyone is a rock star at Boston! It was an amazing experience. So glad I did it. Thank you! Wasn’t it exciting to see Desi win today and to see the American women do so well? I was bawling my eyes out when she finished!!! This was great! Dying to know if you ever saw yourself running on that VCR tape? 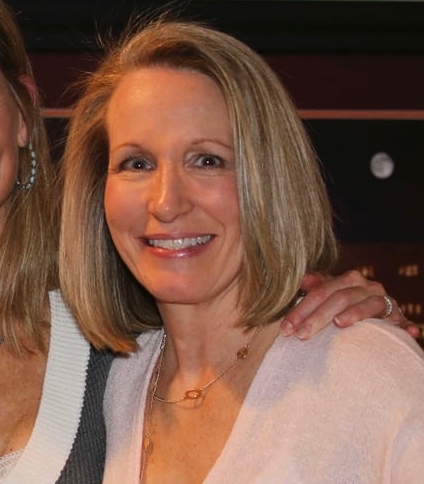 Forty marathons, wow. Do you have a blog on which is your favorite? Great memories! I love that your Bostons were 12 years apart. Probably 2 completely different races. Hey, at this point in my life, if someone gave me a bib, corporate or not, I’d run Boston! I don’t know that I have 2 more marathons in me (I need to qualify) and that’s even IF I qualify. Yes, both Bostons were very different. In 1998, the race started at noon, yet we were bused to Hopkinton quite early and had to sit in the damp air on the cold ground under a tent for over three hours waiting for the race to start. In 2010, I think the race started around 10 AM and we barely got there in time for my friend to make his earlier wave. I don’t remember any lines for the buses in 1998 and we waited for over an hour to board the bus in 2010. Hey Deb, your post is simply awesome! Learned a lot of information from your memories!